Gasselternijveen - called in the Groningen official Nieveen - is a village in the municipality of Aa and Hunze with about 2000 inhabitants. 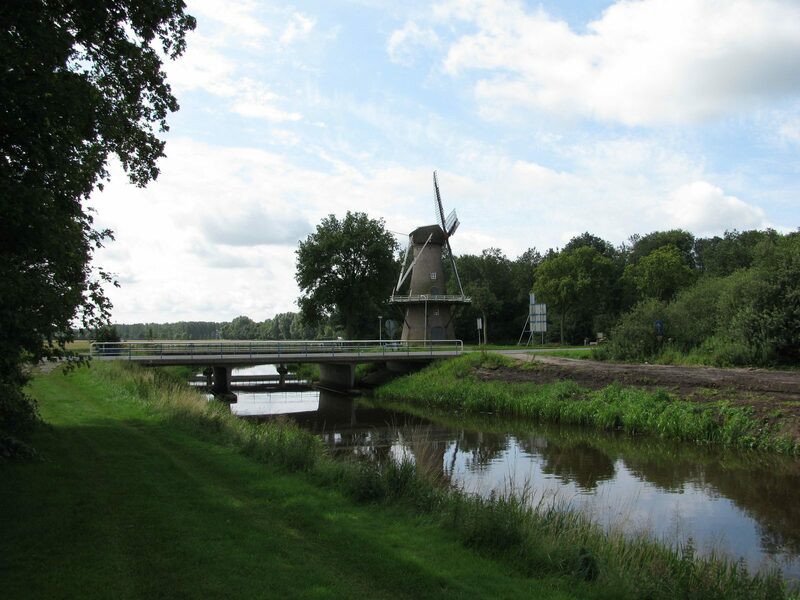 The village is located on the east bank of the river Hunze, also known as the Oostermerse Vaart. Along the river, various nature development projects have been carried out in recent years. There are also forests in the immediate vicinity. In the late Middle Ages, farmers from Gasselte settled on the sandy ridges along the Hunze. In this region, especially cattle were weighed. Later the first Dutch baptist district emerged at Gasselternijveen. Johannes Elias Feisser was preacher of Gasselternijveen until January 1, 1844. At the end of 1843, he was disrupted by his conflicts of childbirth. After that, Feisser comes in contact with German baptists in Hamburg. On May 15, 1845, Feisser baptized with some followers in a cattle channel in Gasselternijveen by baptist J. Köbner by immersion. After this mature event, Feisser was chosen as the forerunner of the first Dutch baptist district (called 'Gemeente van Gedoopte Christenen'). On May 15, 2005, a baptist reminder column was revealed at the supposed place of the baptism to commemorate this first baptic immersion in the Netherlands. Gasselternijveen has seven entries in the national register, including De Juffer (a 1971 mill), a shipbuilding house (from 1801 with younger construction), the former catechisation hall and the former town hall. Further interesting sights in Gasselternijveen include the Protestant church (a waterfront church) dating back to 1859 - a predecessor of the 17th century - and the Reformed Church of 1867, which was taken as a shelter for groups after the closure in 1993.